The Palace has released 2 new photos of Princess Charlotte. Princess Charlotte released from hiding. Rocks cardigan, no tiara. 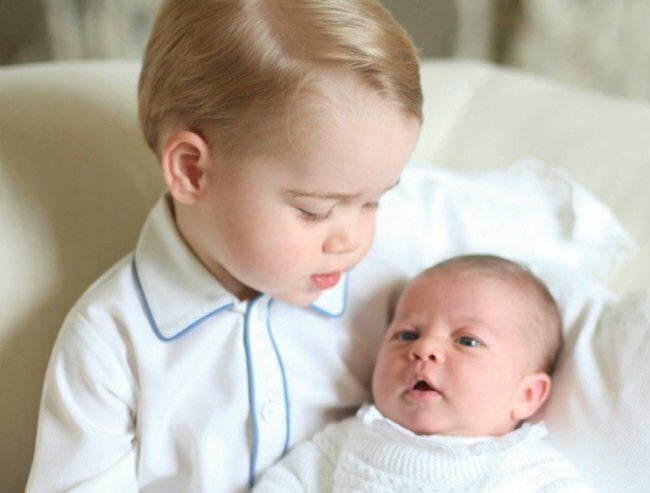 We haven’t seen a whole lot of Princess Charlotte since she was born. 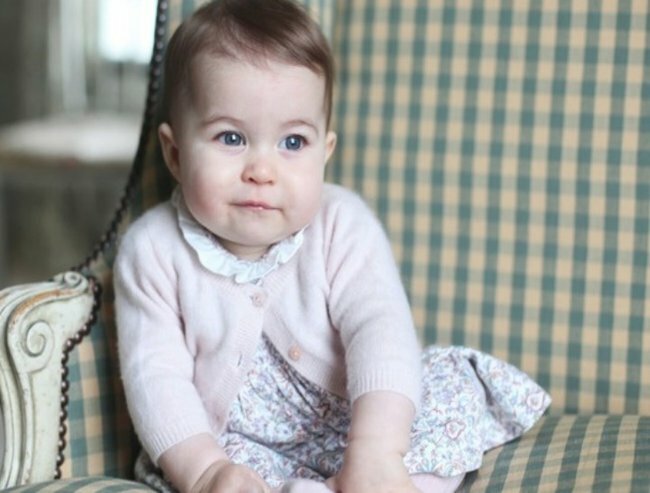 But two new delightful photos of the beautiful baby have been released by Kensington Palace. The images were taken by her mother, the Duchess of Cambridge, earlier this month at their home in Norfolk. For the first time, Charlotte – who was last seen publicly in July during her christening at St Mary Magdalene Church on the Queen’s Sandringham Estate in Norfolk. – is seen sitting up and laughing. For those fashion minded Charlotte is thought to be wearing a pink cashmere cardigan over a Liberty print dress with a frilly collard. The first official pictures of Princess Charlotte – taken when she was just a fortnight old and alongside her big brother, Prince George – were also captured by the Duchess and released in June. This photo was also taken by Kate. It is believed that Kate takes the pics on a Canon EOS 5D Mark II. Let’s hope she keeps snapping because these latest photos are delightful.